Sports physicals are recommended and often required before your child can participate in organized athletic activities and team sports. 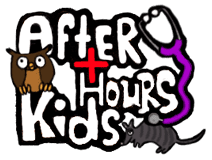 Sports physicals are offered by the Pediatric Nurse Practitioners at After Hours Kids in Austin to evaluate your child’s health and ability to safely participate in their sport of choice. Sports physicals are performed to assess your child’s ability to participate in athletics and team sports safely. Your appointment will include a review of safety tips for particular sports, discussions about the use of mouthguards and other safety equipment, tips for concussion prevention, and nutrition advice. What does a sports physical entail? The Pediatric Nurse Practitioner performs a general physical that includes a review of your child’s vital signs and medical and family history. In particular, they look for any health concerns that might prohibit participation in a particular sport. Previous injuries, chronic conditions such as asthma or diabetes, and any list of daily medications will be noted and discussed. Whether your child is trying out for a school sport, heading off to summer camp or joining a club athletic team, you’ll be required to show proof of a sports physical clearance. Can I just schedule a well-child visit? Well-child visits and sports physicals vary somewhat. Each year, your child should have a well-child visit that includes everything from height, weight, and growth assessments to eye exams and vaccinations. A sports physical focuses on your child’s physical fitness and readiness to participate in a particular sport. A sports physical does not replace your child’s well child check with his/her regular pediatric provider. When is the best time to schedule a sports physical? If your child has signed up for a sport that requires a physical prior to participation, you should schedule the exam as soon as possible. Often, pre-season practice may begin much sooner than expected and making sure all necessary paperwork is completed will help avoid last minute conflicts. 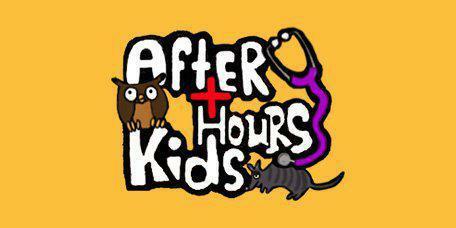 After Hours Kids’ extended clinic hours make it easy to schedule a sports physical that doesn’t conflict with your busy schedule.